Thumb latches show above are Hand Forged, and cam be customized to fit your wood work. For Coastal salt water environments, they can made from Stainless Steel. 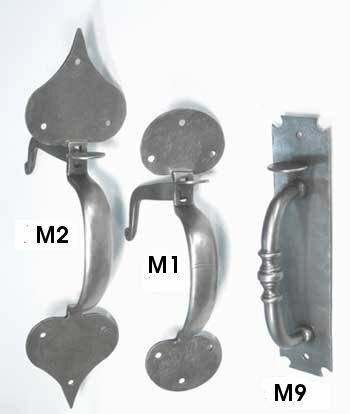 The Hand Forged Stainless Steel Thumb Latches have the same Metal Texture as Carbon Steel Thumb Latches. If you have any Questions Please call 302 998 1181. 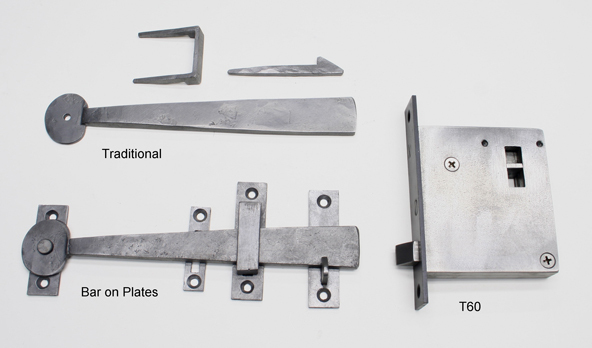 Above Thumb Latches may be used with Traditional Bar, Retainer, and Keeper Assembly, or Mortise Lock pictured below. Thumb latch must be mounted on push side of door when using Traditional Bar assembly, unless Mortise keeper is used. Mortise Lock will allow Thumb Latches to be mounted on either side or both sides. Contact us for more information. 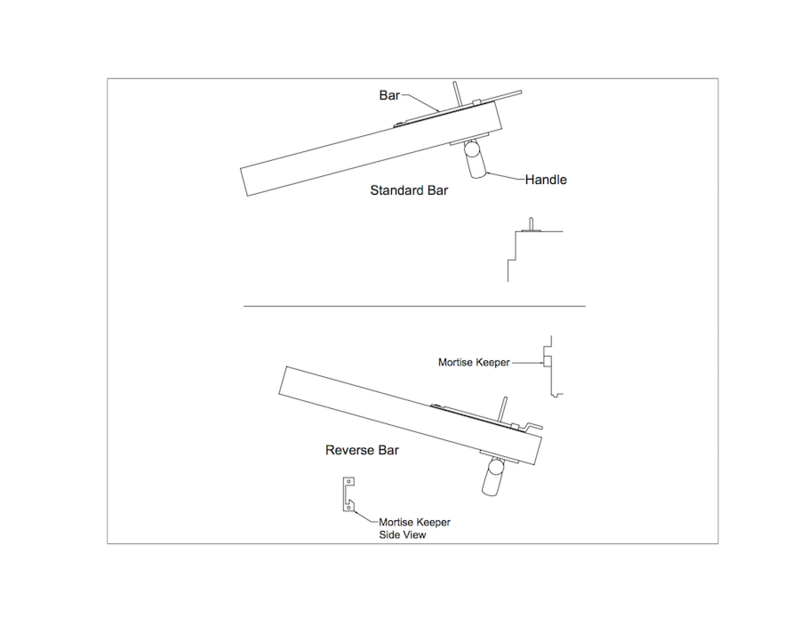 Above is a reverse bar. This allows the thumb latch to be mounted on pull to open side of door.